Home Politics Is Populism beatable? Populism has been the driving force behind both our political landscape and our economic misfortunes. This trait has marked the misguided economic policies of several administrations, with Chavismo just exacerbating the problem. Because, in essence chavismo repeats a well’worn recipe: continue to fuel the spending binge, among other insane policies, with an unprecedented oil boom backing this profligate party. But as it happens to every crash generated by a macro-populist agenda, this party is about to end. Is it our fate to keep repeating this noxious cycle? Regardless of whether the wicked game being played resolves itself via hyperinflation, stagflation, higher scarcity levels, a balance of payment crisis, or an explosive combination of all of the aforementioned, most economists in Venezuela are in agreement: the Titanic is sinking, even if the musicians keep playing the music until the end. 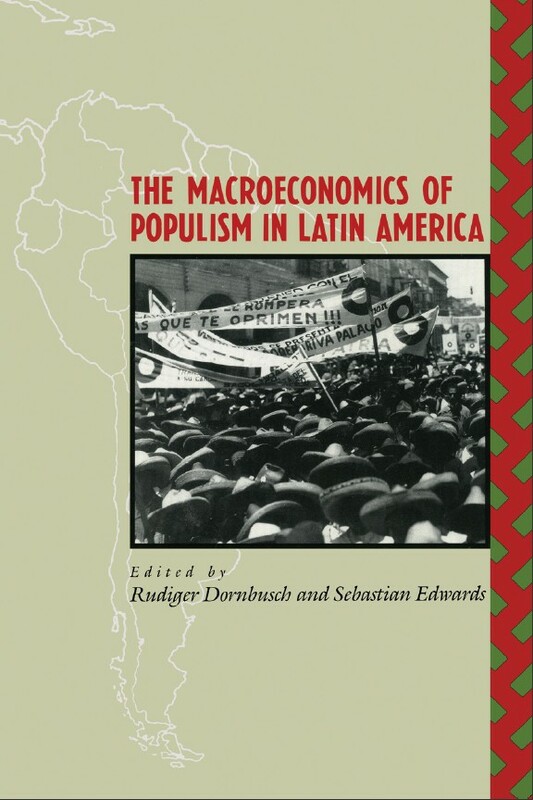 This populist-driven economic crisis requires some revisiting of the much hailed book by the late Rudi Dornbush and Sebastian Edwards, “The Macroeconomics of populism in Latin America“. In it, Dornbusch & Edwards asserted that populist regimes tend to “help the poor” by pursuing expansionary macroeconomic policies that, at some point, become unsustainable, running massive fiscal deficits and generalized controls of prices and interest rates. This yields a catastrophic result, – after the crash comes the inevitable shock therapy required for stabilizing the economy, with its effects being more onerous to the poorest, and after things have at least settled, a newborn demagogue or rabble-rouser who embodies a reincarnation of these noxious populist policies emerges. This appalling cycle seems to be inherent to Latin America, as Roberto Laserna, a Bolivian economist, has pointed out recently here. Unfortunately, Venezuela seems to currently spearhead this costly trait. This gruesome depiction of the future begs the question: is it possible to circumvent this pattern, or is populism beatable in Venezuela? Populism thrives in societies where the rule of law is undermined or non-existent, with sky-high economic inequalities, a weak institutional framework, and polarization among other contributing factors. In other words, Venezuela. If we suffer from all of the above, how can our politicians, economic agents, or the citizenry as a whole redress this hassle? We know that Chavismo’s legitimacy comes from pleasing el pueblo mejmo with populist measures in order to gain support at the ballot box, but now that the State is starting to learn the meaning of the word “budget constraint”, it will be harder for Chavismo to please its supporters or try to appease its opponents. Here, the opposition is presented with a crossroads in attacking Chavismo: appealing to the people with populism, or fighting both Chavismo and populism. The first choice entails a simple replay of the “Iron law of the oligarchy”, in which a political elite is supplanted by another but nothing substantive changes per se. This could be fathomed by the recent uproar from the opposition coalition against the hike in the price of the world’s cheapest gasoline. Again, playing the populist card could get you votes and support, but in the end if you’re elected to office, you’ll be facing the same constraints from an economic standpoint and hence repeating and/or worsening this cycle that we’re supposedly trying to overcome. The latter option is fighting Chavismo by fighting populism. This is where real leadership is needed from all sectors of society, but specially from politicians. First, what not to do. Populism isn’t tackled with more populism: if you’re a mayor or a governor of a state, it is impossible to compete against PDVSA or the National Budget. So throwing cash at people, promising the impossible, and portraying yourself as a demigod is not feasible. At best you’ll only promote rent-seeking behaviour or throw pork barrels. Create citizenship. If you’re in a position of power, contribute to enforcing and strengthen the rule of law. Engender the notion that every member of society has to be held accountable for their actions, including yourself. Begin at home. Show some integrity. Be credible. Only promise those things that you know you’ll be able to deliver (like doing your job to the best of your abilities). Don’t presume that all of the problems are going to be solved during your tenure in office. Establish believable goals, and prioritize the areas in which you can make a lasting impact. More importantly, reject and deride politicians that promise the Earth and the moon, even if they come from your own side. Give populism a bad name. There are of course many ways of implementing these simple precepts, and the fight against this dreadful behemoth is for the long haul. But if the opposition really wants to vanquish chavismo and change the country for good, it needs to define what they really stand for, and not yield to the tempting sirens of the populist approach. A smart approach to the debate on the price of gasoline … may be a good place to start.